Gamescom 2018: HTC announces Vive Wireless Adapter availability. 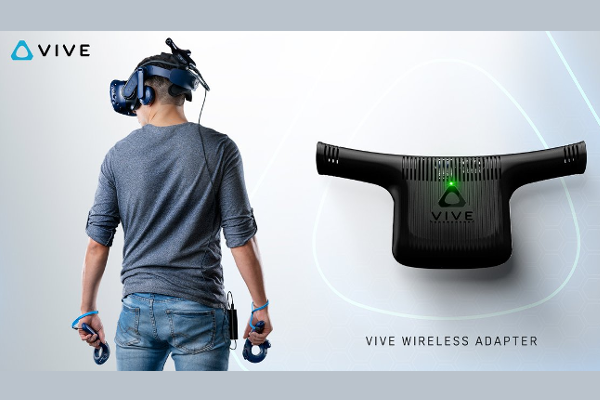 HTC today announced pre-order and availability of the Vive Wireless Adapter at Gamescom. The adapter frees VR users from the tether back to their PC, while maintaining the performance requirements for premium VR on both the HTC Vive and Vive Pro. Pre-order for device launches Sept. 5; Global on shelf date set for Sept. 24. For customers in the U.S., pre-orders will be available at Amazon, Best Buy, Microsoft, NewEgg and Vive.com.